Many homeowners throughout Toronto and the GTA have likely seen news footage of the tropical storms that have devastated communities along the Florida coastline and in the island nations of the Caribbean. The extraordinarily powerful winds of these storms have flattened homes, overturned vehicles, brought down hydro lines, and closed off access to clean water; over the course of just a few hours, these high winds can certainly alter the lives of countless families, in some cases on a permanent basis. Fortunately for the vast majority of Toronto area residents, it is improbable that they will ever experience these conditions first-hand; the last tropical storm to strike Toronto was Hurricane Hazel in 1954, with winds reaching 124 kilometres per hour. But this does not mean that Toronto is immune to the effects of high winds; to the contrary, winds gusting to 80 km/h or even to 100 km/h have been recorded within the GTA, and subsequent damage to homes and properties has been substantial. 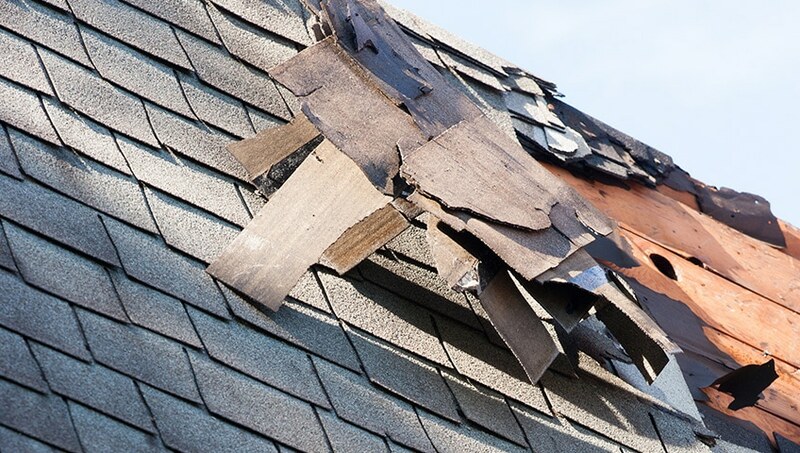 For local property owners, the area of their home most often affected by such high winds is the roof, specifically the peeling/tearing away of asphalt shingles. 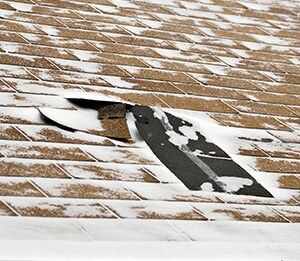 And while this type of roof damage could occur at any time of the year in Toronto, it can happen more often during the winter, as shingles tend to become more brittle in extreme cold temperatures. With winter temperatures having arrived in Toronto and the GTA, high winds cannot be far behind. As mentioned above, this is a dangerous combination that can cause severe shingle/roof damage and hence expensive roof repairs, not to mention the inconvenience and disruption that such situations can create for the homeowner and their family during the cold weather season. One further option that should be given serious consideration would be to hire a Toronto roofing company, such as Integrity Roofers, to perform the inspection. The professionals from Integrity Roofing can assess the condition of the shingles, and of the entire roofing structure, to determine whether any roof repairs might be needed on an immediate basis to prevent more extensive and expensive roof damage over the winter. To learn more about the roof inspection/assessment services offered by the specialists at Integrity Roofers, visit our Roof Consulting page. Such issues can be averted by confirming that the asphalt shingles are properly installed and appropriately secured, thereby safeguarding the home and its contents – and most importantly, its occupants. And in turn, skilled roof repairs performed by the crews from Integrity Roofers, one of the leading roofing companies in Toronto, may provide the ideal solution for avoiding these types of concerns. For more information on the extensive range of roof repairs available from the experts at Integrity Roofers, go to our Roofing Repair Services page. For reliable roof repairs in Toronto and the GTA, including the repair or replacement of asphalt shingles in preparation for the coming winter, Call the professionals at Integrity Roofers today at 416-736-7373 or Contact us to book a roof inspection/assessment at your earliest convenience.